Current SFU students aren’t the only ones feeling a little stressed out and over-worked right now. Although they may not have final exams to worry about, four SFU alumni are pulling all-nighters to compete in the CBC’sComedyCoup competition. The contest, in which Canadian comedy creators work towards developing an original show concept by advancing through a 10-week series of challenges, was narrowed down to the top 15 on November 10. Two entries still in the running, Heir Heads and Human Town, feature creative teams comprised of former SFU students who say that the competition rivals a students’ hectic study schedule. Originally conceived as a starring vehicle for the two men, Heir Heads is the story of two anti-genius brothers who must make a million dollars in order to earn their deceased father’s billion dollar inheritance. As the project developed, the two decided to have their parts played by acclaimed local actors Ryan Beil and Bruce Novakowski. For the Innes brothers, who are two years apart, comedy is something they’ve been working on both separately and together since they were in high school. While they’ve taken some breaks, they’re all in now. Taylor, on the other hand, studied towards a psychology degree at SFU, and while he laughed at it being considered a “hilarious faculty,” he says it has enhanced his writing abilities. Kajetan ‘Ki’ Kwiatkowski and Kane Stewart, the two SFU alumni who are part of the six-headed sketch comedy beast known as Human Town, also started their journey to the Coup as high schoolers, before continuing on to SFU’s film program as classmates. “We took a video course in grade 8 and made funny stuff, and it was popular enough that we decided to keep doing it,” Kwiatkowski told The Peak. He explained that they’ve been working on their unique sketch show ever since. The show features linked sketches and recurring characters, all set in the fictional world of Human Town. 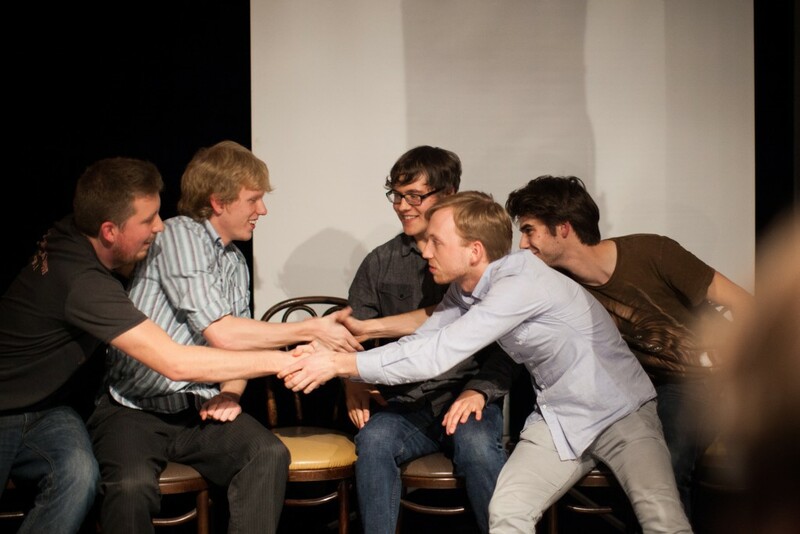 When the ComedyCoup contest came along, they jumped at the chance to gain more exposure, although they too have felt the intense pressure of the contest. As for an inter-SFU rivalry, Kwiatkowski says there isn’t one and that he’s rooting for the Innes’ project just as much as his own. The prize of the competition is $500,000 to create a half-hour comedy special to be broadcast on CBC prime time in the fall of 2015. The top five will be announced on Monday, November 24.